Fear is not real… are you Ghosting? Not real? Ghosting… no worries read along it will all make sense. 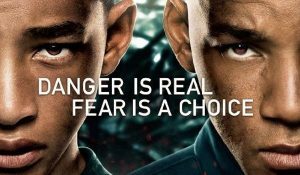 The other day, we watched After Earth with Will Smith and his son. The movie was all about fighting your fears (at least that’s what I got out of it). 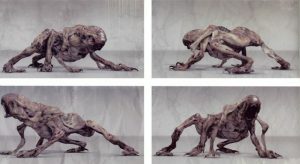 They had blind monsters that were killing everyone. Okay great, blind monsters that kill people… How do they do it, if they can’t see? Also, the monsters were setting up triggers. Triggers is defined as actions that would set off a chain of associations, thoughts, emotions, and memories. So the monsters would set a bunch of fear triggers, by putting dead bodies on trees to trigger fear in people, thus being able to track them. Will Smith had a super power of not being able to FEAR anything. He would walk around those deadly creatures and be like a ghost (Ghosting)… He would start to train people on his planet to Ghost to defeat the enemy. However during the movie he is stuck on planet earth, now one of the deadliest planets in the galaxy. He would have to teach his son to be FEARLESS. Cool… so what is your point? 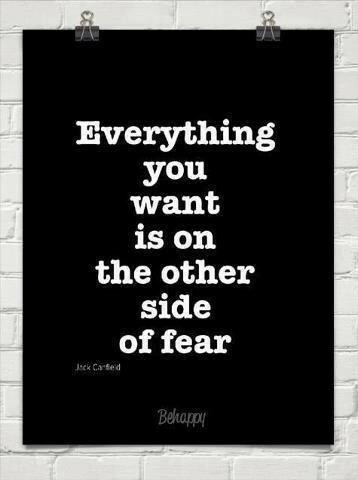 Too often we are frozen/stopped by fear: fear to talk to someone, fear to ask for a raise, fear to make a sales call or talk to an angry customer, fear to tell someone how we feel. We analyze, rationalize (Rational–Lies) about possibilities or reasons why something can’t be or how it is going to be/end up… and we freeze. Stop acting. Procrastinate. When we were babies, we were FEARLESS… we attempted everything, tried everything, were eager to learn, fell and got right back up… as we got more mature many of us started to fear, and lost faith. Now, we see all the reasons why it can’t work… instead of why it could work. We see all the reasons why we can’t do it, instead of how we still could. 4…No could have, should have, would have… take a step give your best and have FAITH (Mark 4:40). Have you ever thought about going back to dancing or doing a Barre Fitness, or boot camp class, but are afraid you are too old or too out of shape. Join other adults that have taken the step. What are you picking today?